I’m in the midst of rearranging the basement crafting area (and squeezing the kiddos stuff out slowly but surely 🙂 ). Need room to put together my new loom! 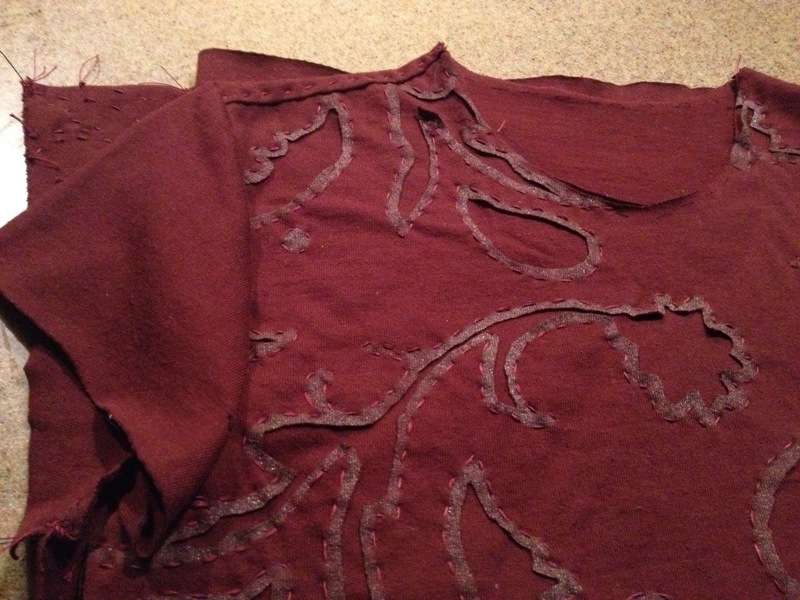 Yesterday I finally got the guts to cut out all of the applique – I’d finished the stitching months and months ago. I’m onto construction and hoping to finish up this weekend!